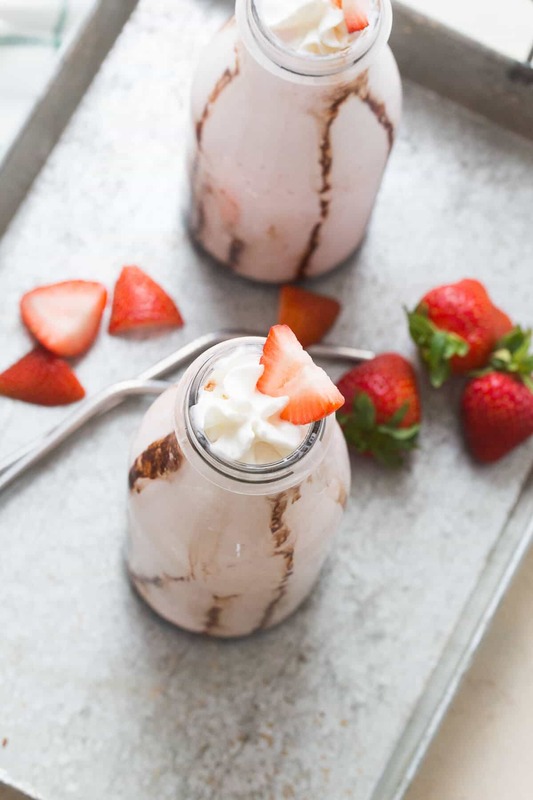 This strawberry milkshake is creamy, cool and full of bourbon! This is a sweet adult, boozy, sippable treat! One of my best memories of my Panama Canal Cruise onboard the Coral Princess are of the relaxing afternoons spent by the pool. I was able to nap, read, and nap some more. After my second nap, I would wander over to the endless soft serve ice cream bar. A cool milshake would cool me down and reinvigorate me enough to spend a little more time soaking in the sun. Those milkshakes were amazing, the only thing that would have made them is bourbon. Bourbon can make many things better. From Bourbon Chicken to German Chocolate Bourb Brownies, bourbon adds an element of boldness to each recipe. Bourbon as flavor enhancer in a recipe is one thing and drinking it is quite another! I don’t do bourbon straight up, I usually mix it with something sweet. Well what can be sweeter than strawberry ice cream! I love the way creamy, sweetened strawberry ice cream tastes with the earthy, woodsy taste of the bourbon. 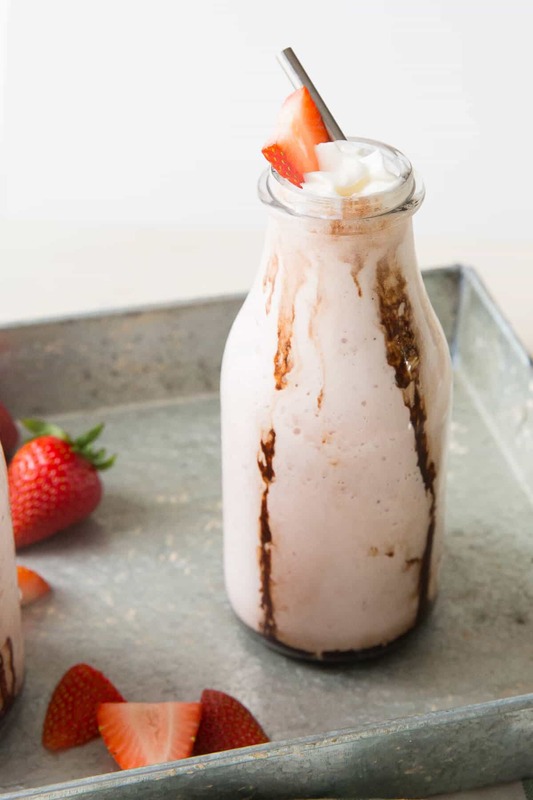 Of course you could subatitute almost any flavor of ice cream in this milkshake, but there is something about how the strawberries and the bourbon balance one another. Plus I love when unlikely ingredients become happy partners. Now that I have the perfect milkshake, I just need to get back to the pool deck and the ocean breeze! Being on a cruise is magical. It is like a perfect floating city with limitless possibility. 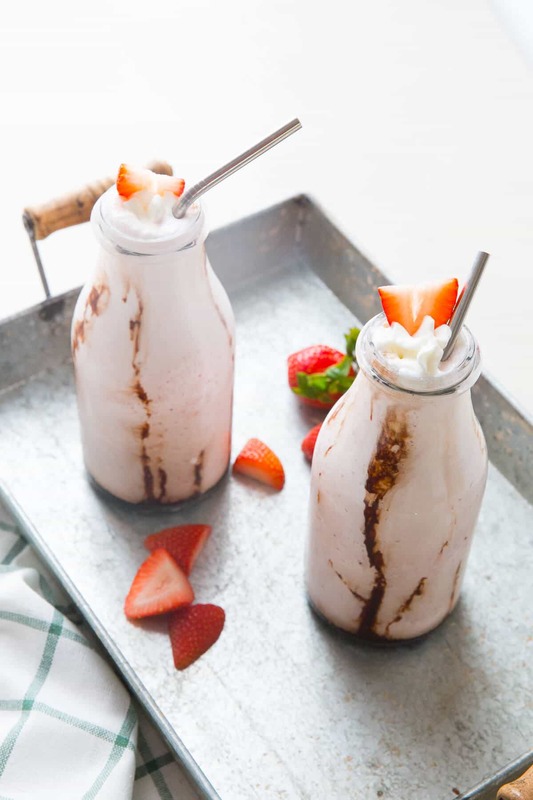 The only worry you have is what your next meal will be and the only decision you have is deciding on weather you’ll have a chocolate or vanilla milkshakes as you lounge around the pool! This recipe was sponsored by Princess Cruises. To learn more about onboard dining cruise experiences or destinations, please visit Princess.com. 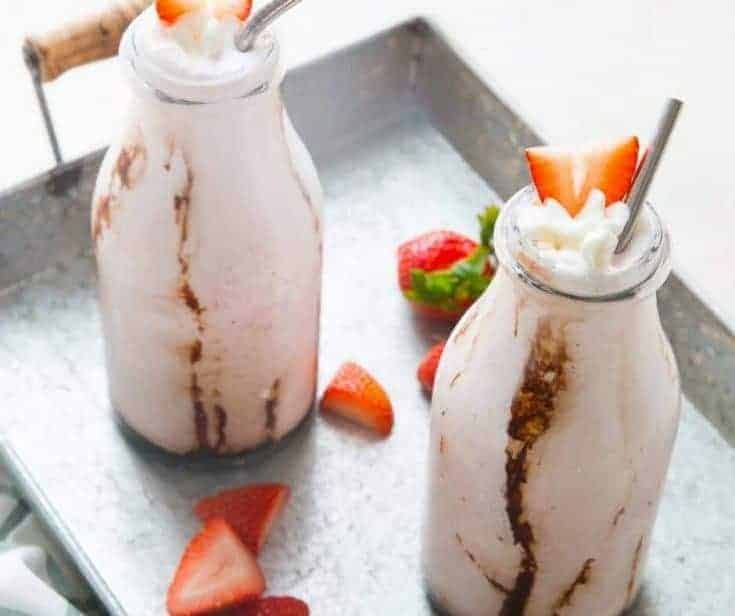 Combine all the ingredients, except for the chocolate syrup in a blender. 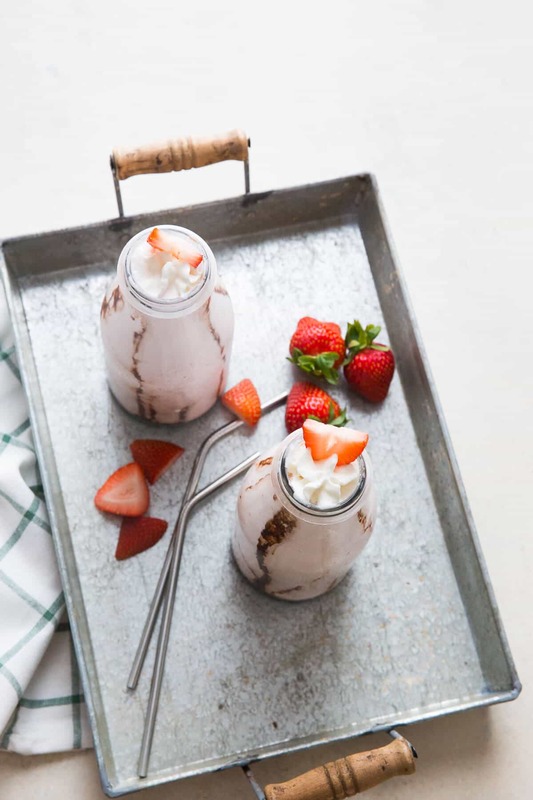 Drizzle chocolate syrup inside your glass and pour milkshake. 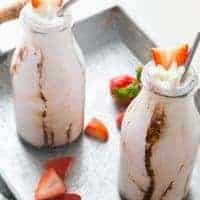 Garnish with whipped cream and strawberries. This is a guideline, everything can be adjusted to your taste.